TORONTO (May 17, 2018) – Free agency and the 2018 CFL Draft have come and gone; now it’s time to put the CFL’s new-look rosters to the test: CFL on TSN gets fans ready for the start of the regular season on Thursday, June 14 with live coverage of four pre-season games. 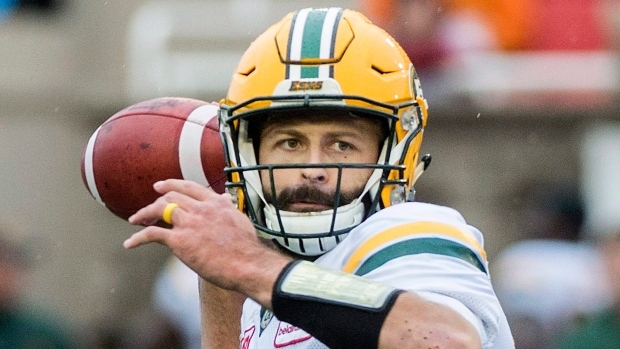 TSN, the exclusive broadcaster of the CFL, begins its pre-season coverage with a divisional matchup featuring the Edmonton Eskimos and the visiting Saskatchewan Roughriders on Sunday, May 27 at 5 pm et/2pm pt on TSN. Exclusive coverage of the CFL on TSN pre-season is also available to TSN subscribers for live streaming and on-demand viewing via TSN.ca/Live and the TSN GO app.